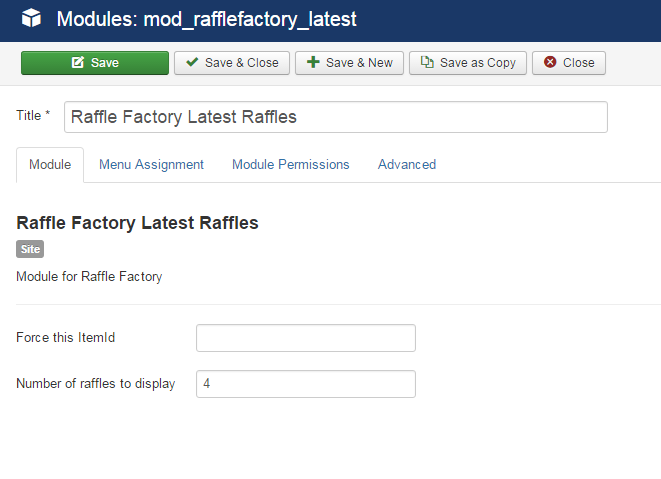 From the backend, you can set the maximum number of raffles to be displayed and to force an ItemId for all the links associated with them. 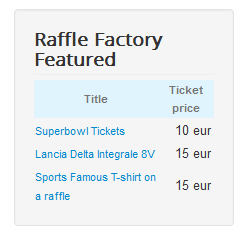 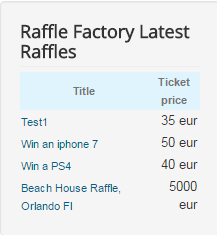 From the backend, you can set the number of raffles to be displayed within the module. 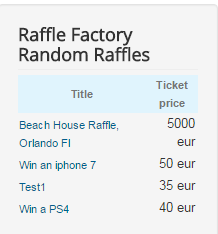 Random Raffles displays raffles in a random order. 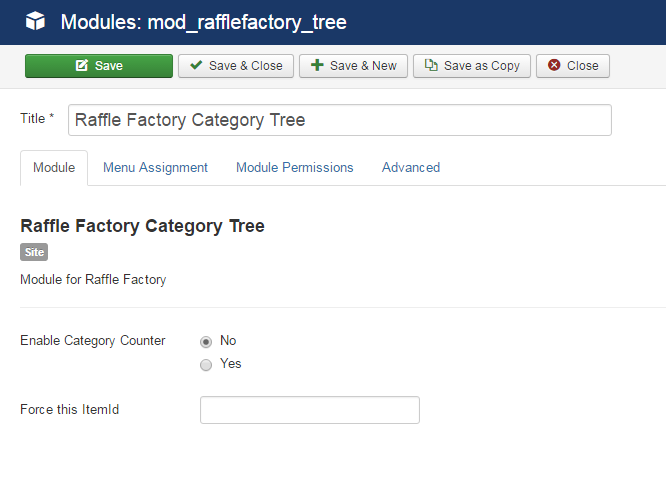 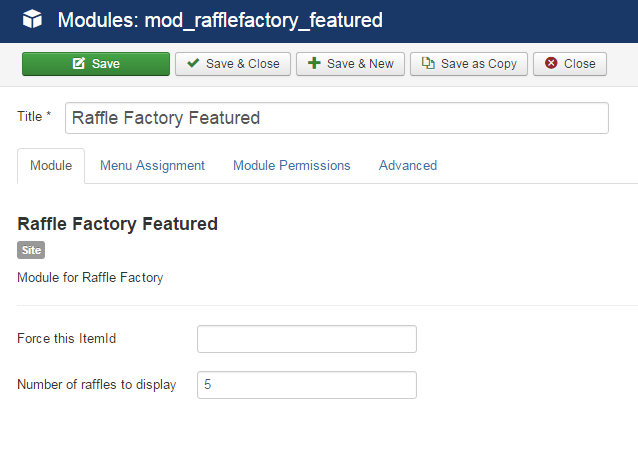 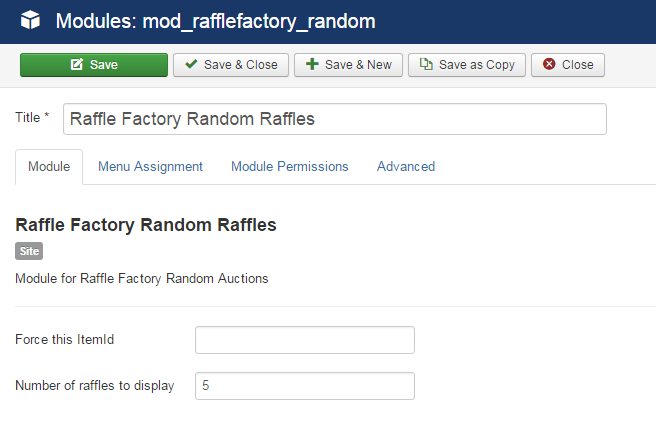 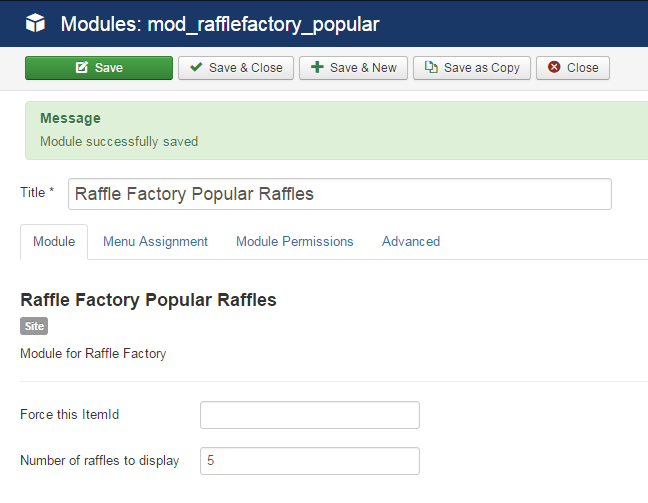 From the backend, you can set the number of raffles the module will display. 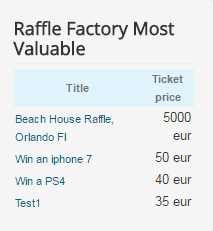 This module displays the most expensive raffles, ordering from the most expensive to the least expensive ones. 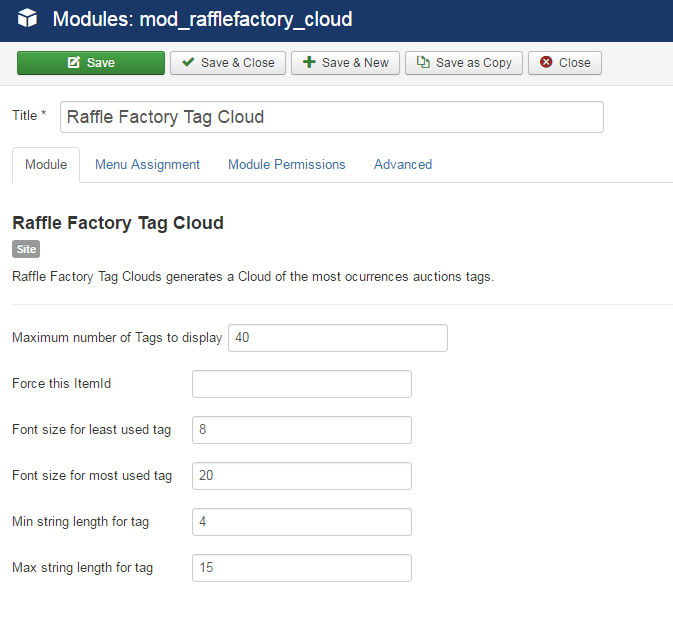 The Tag Cloud module allows you to set the maximum number of tags to be displayed within the cloud. 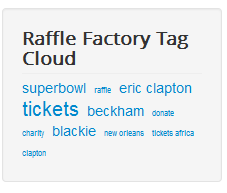 You can set the font size for the least and most used tags. 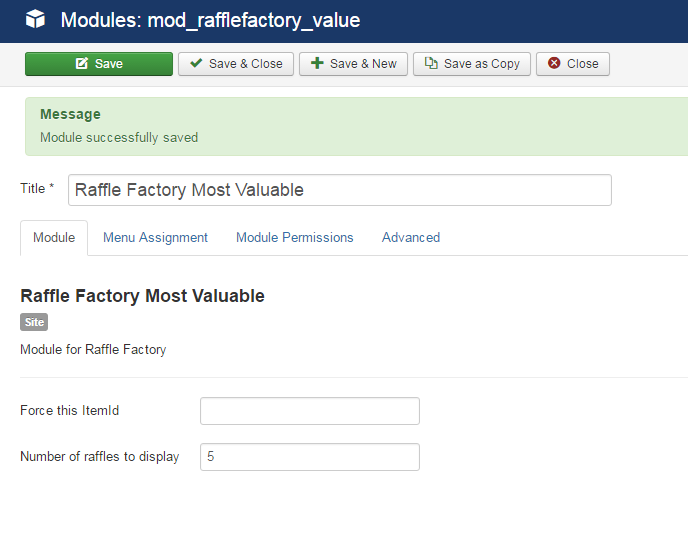 Add the minimum and maximum number of characters a tag must have to be displayed on the cloud. 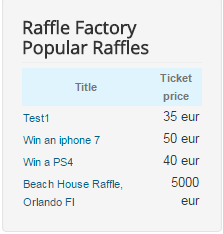 Enable Category Counter will display the number of raffles published in each category.